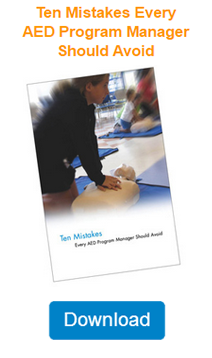 Is your school prepared if sudden cardiac arrest strikes a student, staff member, or visitor? Do you know if your state mandates AEDs? By having ZOLL's automated external defibrillators (AEDs) onsite, you will be better equipped in the event that cardiac arrest affects a member of your school's community. Sudden cardiac arrest strikes people of all ages and fitness levels, usually without warning. Lives can be saved if trained bystanders call 911, begin cardiopulmonary resuscitation (CPR), and provide defibrillation within minutes. The 2015 American Heart Association (AHA) Guidelines stress the importance of high-quality CPR and an available AED to help improve outcomes from cardiac arrest. ZOLL® understands the importance of CPR in a rescue. Real CPR Help® technology in our AEDs improves the quality of CPR by providing real-time CPR feedback on the depth and rate of your chest compressions. ZOLL has three options for AEDs: the AED Plus® and the AED Plus Fully Automatic, full-rescue AEDs for lay rescuers; and the AED Pro®, a rugged AED for professional rescuers. All three provide complete assistance to the rescuer in an emergency. Some schools are taking the initiative to be prepared for cardiac arrest, while in others, state legislatures have mandated AED placement in schools and at all athletic events. Matt Keene of New Hampshire is thankful that there was an AED at his school. Following a football practice, the then 17-year-old went into cardiac arrest, and because his school had a ZOLL AED Plus, his life was saved. Now, Matt frequently tells his story in hopes that his state will mandate AEDs in all New Hampshire schools. To see Matt's incredible story, you can watch this 8-minute video highlighting the importance of CPR training and early defibrillation programs. Call 800-804-4356 to learn more about how ZOLL can help you implement an AED program at your school.